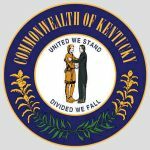 In the continuing battle of whether online poker legislation would be better served on the state or federal level, the National Conference of State Legislatures (NCSL) sent a letter to both party leaders of the Senate and the House of Representatives extolling the need for online poker to be legalized at the state level. “The NCSL believes the federal government should respect the Justice Department ruling [on the 1961 Wire Act] and would oppose any efforts by Congress to preempt state authority over Internet gaming,” the letter said, which was written by Rep. Greg Wren (R-AL) and Senator Carol Fukunaga (D-HI), co-chairs of the NCSL Communications, Financial Services & Interstate Commerce Committee. The issue of online poker legislation on a federal level has been mentioned in more than one congressional hearing since the Department of Justice (DoJ) released its findings in December which held that the 1961 Wire Act is applicable only to wagering on sports. Most industry insiders believe that federal legislation of Internet poker would be more advantageous over a state-by-state format, not only in player liquidity, but also in the regulation process. Indeed, more headaches would be apparent with each state enacting their own regulations that may have to be modified upon any interstate compacts or agreements. But the NCSL feels that individual states would be better suited to administering online poker regulations among themselves, including provisions allowing certain states such as Utah to opt out of any online poker regulation framework. 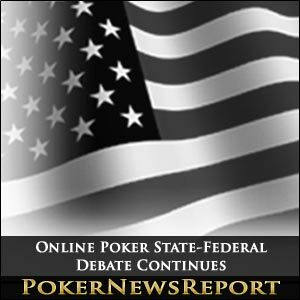 It no longer seems to be a question of whether US online poker will become regulated, but whether or not legislation will be forthcoming on a state or federal level. With most people seemingly favoring federal legislation, including both the American Gaming Association and the Poker Players Alliance, the main lobbying organization on behalf of poker players, the letter on behalf of the NCSL drives another wedge into the state-federal debate. 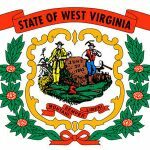 According to the NCSL letter, the regulation of online poker being operated at the state level is the most logical decision when looking at the track record of individual states in that regard. The NCSL position is also in opposition to Indian tribal gaming interests, who support regulation at the federal level, as a state-by-state format would make offering online poker services a privilege instead of a right for Indian tribes. 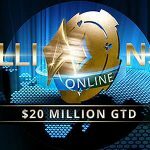 With Nevada already accepting applications from gaming operators and other states such as Iowa, New Jersey and California making waves about passing their own online poker legislation, it appears that Internet poker on a state level is winning. Coupled with the fact that online poker legislation failed to be included as a rider to last month’s federal payroll tax bill and many federal lawmakers are hesitant to approve its passage in an election year, a state-by-state framework of online poker legislation is continuing to gain momentum. In My Opinion: There is no debate, we need to repeal the ILLEGAL UIGEA. And there is no debate the National Conference of State Legislatures are a bunch of stupid crypto-fascists who should have no say in anything if they are easily out-debated like the children they are.